I’m pretty immune to being tricked into feeling any emotion at all by headlines, but this one did give me pause. What I feel is a sense of unreality, as well as a burning curiosity. 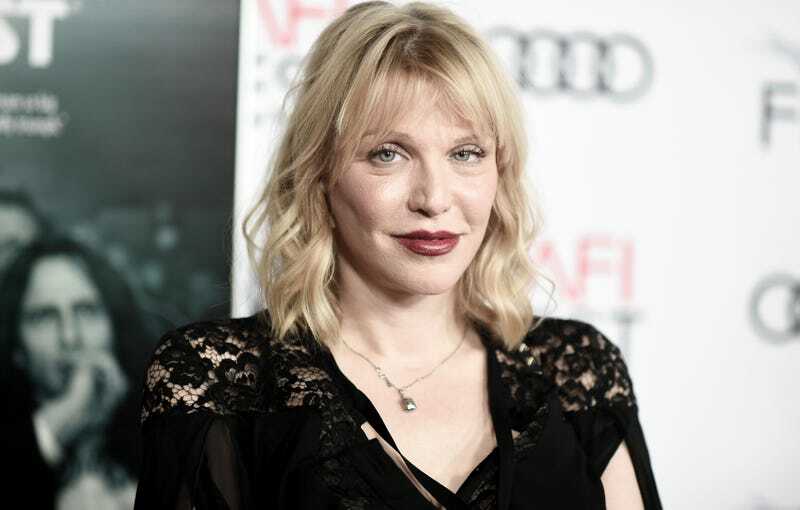 Billboard reported on Thursday that Courtney Love is being sued by the ex-husband of her daughter, Frances Bean Cobain, for allegedly conspiring to kidnap and murder him in an effort to reassume possession of Kurt Cobain’s old guitar. It’s the one Cobain played during Nirvana’s 1993 MTV Unplugged New York performance, and it’s iconic. Frances’ ex, Isaiah Silva, kept the guitar in the divorce, against her wishes (he claims it was a gift). Silva’s civil complaint, filed in Los Angeles County, also accuses Sam Lutfi, who’s notable for having managed Britney Spears during a tumultuous time in her career, of supplying Frances with illegal drugs, in addition to kidnapping, attempted murder, false imprisonment, and extortion. 13 Reasons Why actor Ross Butler is named as an alleged co-conspirator as well. Silva alleges that Love, Lutfi, Butler and a chauffeur named Yan Yuhktman hacked his iMessage account, then sent messages “making it appear Silva was despondent and on a mental precipice contemplating suicide.” This, Silva claims, was part of master plan to kidnap and murder him, then make it look like a suicide. Then take the guitar. This, Silva contends, was part of a harassment campaign that became even more serious when Lutfi, Butler, and Yukhtman broke into his house on June 3, 2016, threatened him, then forced him into the back seat of a Cadillac Escalade and drove off. Silva makes a bunch of other claims against these alleged conspirators as well, including that Lutfi at one point posted an advertisement for a free dog on Craigslist with a picture of his daughter’s puppy attached.